A client discovered what is thought to be a piece of human bone in a set of socks at Primark. Essex Police stated the discover at the Colchester shop did “not appear be an outcome of current injury and had no skin or other particles surrounding it”. The force stated officers were communicating with the merchant, which was speaking with providers. 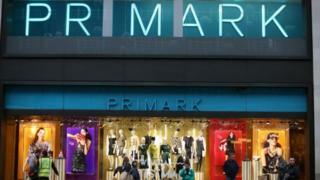 Primark apologised “for any distress triggered” and stated there was no proof of an “event” in the factory. The discovery last month was reported to cops on 2 January. An authorities spokesperson stated: “Without more screening officers can not be particular of the origin or age of the bone. Primark stated it was taking the matter “really seriously”. It included: “No proof of any kind exists to recommend that any event has actually happened in the factory, so it is extremely possible that this things was put in the socks by a specific for unidentified factors.